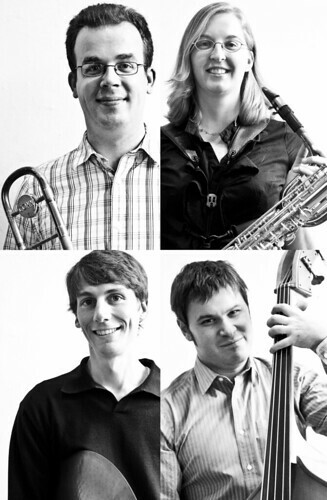 Way back in May 2010, I was asked to take some promo shots of Mighty Groove, a Boston wedding and event band. Recently, the trombonist from Mighty Groove, Randy, asked if I could take photos of his jazz group, The Olson Pingrey Quartet. Here are some posed and live shots from their CD release at The Lilypad in Cambridge, MA on October 23, 2011. CBS Boston posted a gallery of some of my photos from this year’s HONK! Festival.